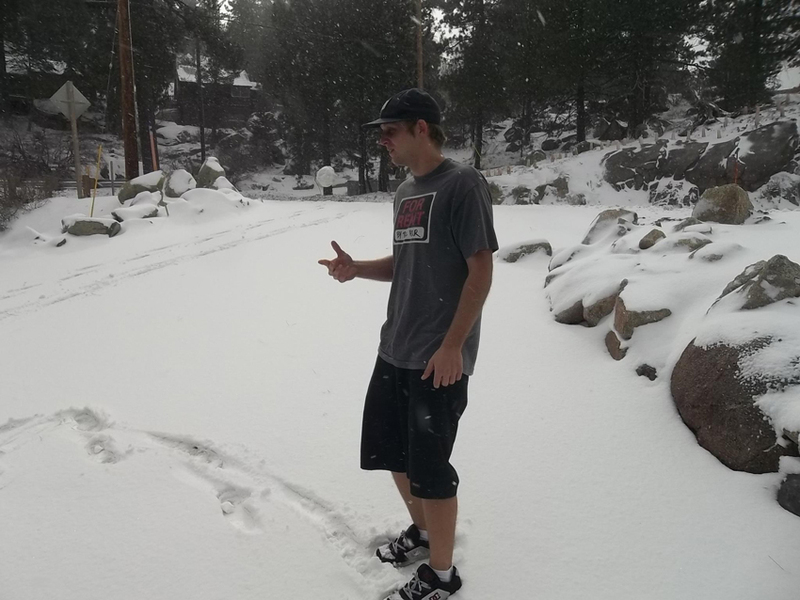 Big Bear Snow 19, a picture of my boy Scotty (Happy Birthday, buddy!). We stopped off on the way out of town by the lake to goof in the snow a little bit. This was a couple years ago. He had volunteered to drive me up so he could test his car on the mountain roads, but neither of us expected to run into snow. Here’s he lobs a snowball, considering whether or not to throw it at me. We were both dressed in shorts and t-shirts, not set for the snow at all, but at least he had a hat, lol. I miss that “For Rent” t shirt he had, lol. Last note, we had a delicious pizza cooling off in the car too, couldn’t wait to get to that, so we didn’t play long.